This article is also featured on the Shambhala Times at shambhalatimes.org. The Konchok Foundation is delighted to announce that the Surmang Shedra will launch this fall. Last October, the Pema Chödrön Foundation offered a $150,000 Matching Grant to complete the Surmang Shedra and hold an Opening Ceremony. This has created a tremendous upsurge of energy to bring this project to fruition and has inspired heartfelt generosity from our loyal Konchok Foundation donor base. We are more than halfway to matching the grant–having raised $100,000 already–and need to raise $50,000 by June 2015. 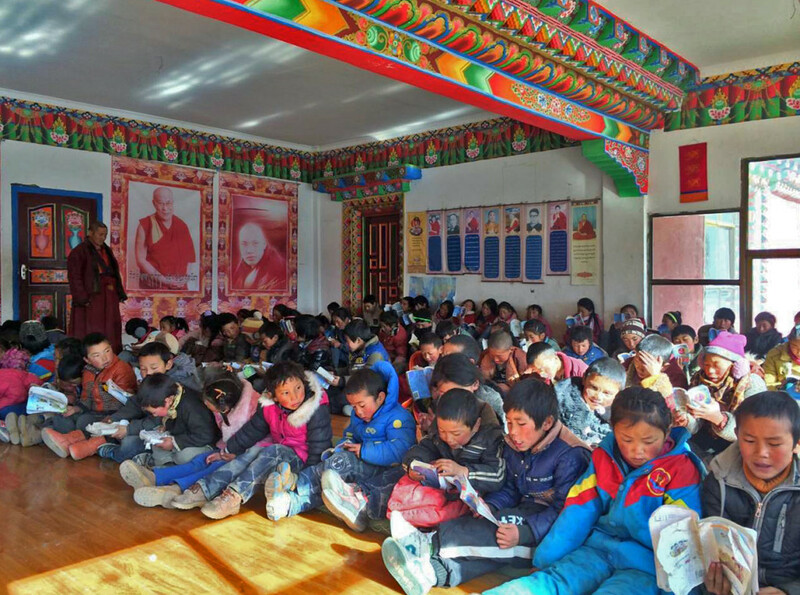 Meanwhile, our ongoing Children’s Education Program is in full swing right now with 120 children attending school, taught by the monks from the monastery and housed in the shedra complex. 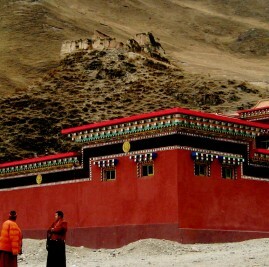 Based on this fundraising success we are working closely with Khenpo Tsering, who is managing the project at Surmang, to create a timeline to completion and identify all the items that need to be finalized in order to allow the Surmang Shedra to open and begin shedra classes for monks and nuns. To finish the shedra, we need to complete several construction details, including electrical work and painting; purchase furniture and light fixtures for the main shrine room of the shedra complex; acquire a complete set of the Tibetan canon, called the Kangyur and Tangyur (the teachings of the Buddha and their commentaries) and build cabinets to hold them; install furniture in the living quarters and equipment in the kitchen; and landscape the grounds of the shedra complex. Although it’s a lot of work, it is so refreshing to be attending to these kinds of details after years of pouring concrete. There will be a significant Opening Ceremony to launch the Surmang Shedra. A limited number of Westerners will be able to attend, but first we need to make preparations. We are planning to invite a highly regarded Khenpo (monk scholar) and also a Khenmo (nun scholar) to give teachings during the Opening Ceremony. We will arrange to host lamas and dignitaries from the region, providing one meal a day for up to 2000 local guests, and procure tents and temporary bathroom facilities to accommodate the large numbers of visitors, including a tent camp for Western attendees. We plan to update Konchok donors and the Shambhala community on the details of the Opening Ceremony as the planning process gets underway. Venerable Chökyi Senge, the Twelfth Trungpa Rinpoche is closely involved in our work together and is very pleased at the generous support from so many Westerners committed to supporting Surmang. Visit our brand new website at konchok.org, which launched over the weekend, to see more photos of the children and read other news. Please join us in launching the Surmang Shedra!